As Amazon.com Inc. and Google work to place their smart speakers at the center of the internet-connected home, both technology giants are expanding the amount of data they gather about customers who use their voice software to control other gadgets. For several years, Amazon and Google have collected data every time someone used a smart speaker to turn on a light or lock a door. Now they’re asking smart-home gadget makers such as Logitech and Hunter Fan Co. to send a continuous stream of information. In other words, after you connect a light fixture to Alexa, Amazon wants to know every time the light is turned on or off, regardless of whether you asked Alexa to toggle the switch. Televisions must report the channel they’re set to. Smart locks must keep the company apprised whether or not the front door bolt is engaged. This information may seem mundane compared with smartphone geolocation software that follows you around or the trove of personal data Facebook Inc. vacuums up based on your activity. But even gadgets as simple as light bulbs could enable tech companies to fill in blanks about their customers and use the data for marketing purposes. Having already amassed a digital record of activity in public spaces, critics say, tech companies are now bent on establishing a beachhead in the home. Will you be getting a smart home spy for Christmas? You can still speak to the digital assistants embedded in these devices, but their screens enable hands-free video calling (apart from the Google one), can act as a control pad for various smart devices you may have around your home, such as thermostats or security cameras and (this feature is on heavy rotation in all the promotional material) you can use them to prompt you through a recipe without resorting to smearing your buttery fingers over your phone or laptop. Some device makers are pushing back, saying automatic device updates don’t give users enough control over what data they share, or how it can be used. Public guidelines published by Amazon and Google don’t appear to set limits on what the companies can do with the information they glean about how people use appliances. Amazon and Google say they collect the data to make it easier for people to manage their home electronics. 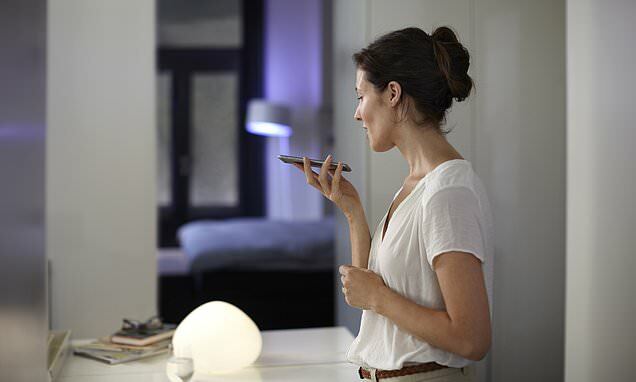 Automatic status updates reduce the time it takes to process voice commands and lets smart-home hubs present up-to-date information on a screen or smartphone app. Greater awareness of what’s going on also lets them proactively suggest helpful uses for their voice assistants, and develop new ones. Smart speakers are among the fastest growing categories of consumer electronics, led by Amazon’s Echo and Google’s Home devices. That’s pushed the companies and their Alexa and Assistant software deeper into debates about the tradeoffs between useful services and the harvesting of personal data. Both have had public pratfalls around privacy of voice commands, either recording private messages in error or sending them to others. The commercial success of voice assistants has bolstered dozens of companies working to build interest in internet-enabled televisions, kitchen appliances and other devices. Many people first start tinkering with connected appliances after buying a smart speaker. Surveys show about a quarter of U.S. smart speaker owners regularly use them to control something else, a percentage analysts expect to rise. When smart speakers first hit the market, using them to command another device worked like this. After receiving the command “Alexa, turn on the light,” the software would ask the light bulb maker’s servers for the current status of the bulb. After a reply came back confirming the switch was off, Alexa would instruct the light to turn on. Now, in a push that accelerated last year, Amazon and Google are recommending—and, in some cases, requiring—that smart home makers tweak their code to reverse that relationship. Instead, the light bulb must report in to the hub with its status at all times. “Oversharing for the sake of oversharing is probably never a good thing,” says Ian Crowe, a senior director with Logitech International S.A., a builder of computer and home electronics accessories. “We should have a good reason, and our users should agree it’s a good reason,” before sharing data. Logitech has tried to meet Amazon and Google halfway. Rather than tell smart speakers what each device connected to Logitech’s Harmony remote controls were doing, Crowe says Logitech reports back with broad descriptions, specifying that a user is watching television instead of passing on information about their choice of channel, for instance. “There are very relevant concerns about how much the system knows,” he says. Crowe says Logitech has had conversations about status reporting with Amazon and Google, but declined to detail them. Executives at two other smart device makers, speaking on the condition of anonymity to protect business relationships, say they’ve asked for concessions from Amazon and Google related to user privacy or transparency and guarantees about use of the data, but been rebuffed. An Amazon spokesman says the company doesn’t sell user data and doesn’t use information it gets from status reports for advertising. Status reports, he says, are designed to enable useful features for customers. He declined to comment on how long Amazon stores the data. A Google spokesman declined to comment on the company’s implementation of status updates. Even light fixtures, in elaborate setups, are a map of home life: When do you get home? When does the light in your child’s bedroom usually go off? What days do you burn the midnight oil? Still, the nascent smart-home market is fiercely contested, and some critics acknowledge their worries about data collection are partly motivated by concerns that Amazon and Google will use their central position to muscle out rivals and dictate terms to the rest of the market. Moreover, some other smart-home companies themselves gather status reports, though they lack the scale or billion-dollar advertising businesses of the tech giants. Some say Amazon and Google would do well to be more transparent by telling users, outside of the confines of lengthy privacy policies, what data they’re collecting and offering more fine-grained options for managing it. Amazon and Google let users delete accumulated smart-home data, but neither offers an option to stop collecting it from specific devices in the first place. Currently, the only way customers can disable data sharing for a specific device is to unplug it from the system. “We know that there are consumer concerns, deeper than what’s been written about, about how much listening is really going on by any voice system,” says Martin Plaehn, who runs Control4 Corp., a builder of smart-home management tools. People intuitively understand that by asking a voice assistant to control a device, they’re giving that company information about that action, he says. It’s less likely they know that linking a television to the system begins a process of transmitting updates when someone changes the channel or turns it on or off. “There isn’t an implicit permission of, ‘Go ahead and take all my data whenever [something] changes,'” Plaehn says. “And we think that if the world really knew that was going on, it would create a real kerfuffle. Which Smart Speaker Should You Trust Most—and Least?